The paradigm of Immigration has changed a lot from what it was say 10-15 years back. If you have plans for immigration to Canada, you first understand new immigration scenario and avoid the common mistakes to come out as a winner of Visa approval at the end of the day. 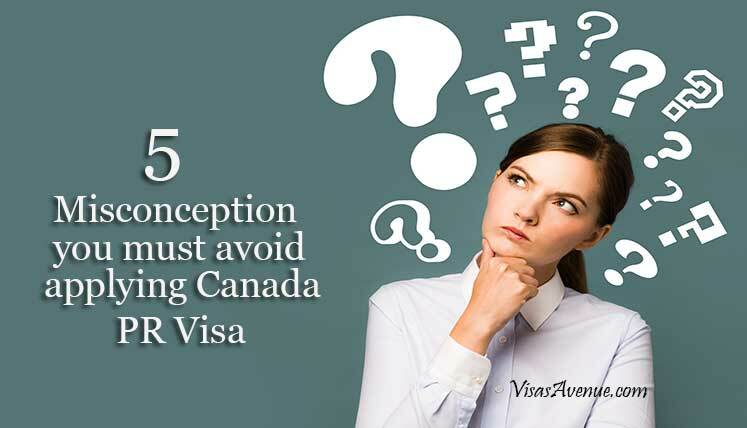 Find below the list of things, which you must avoid as a Canadian visa applicant. Jolted by the tightening immigration rules and guidelines in USA and UK, etc. countries, the immigration aspirants usually make a general opinion that immigration and permanent residency has now become extremely difficult to get in overseas countries. However, it is absolutely untrue about Canada, which it now has the most lenient immigration rules and guidelines. Some of the aspirants think that the permanent residency process takes years to complete and hence, they hesitate to enter in the same considering the consequences and scenarios in future. In the case of Canada, you can get PR visa approval as early as within 6 months’ period. On the other end, there are some applicants who think it’s just the process of a week or two, which is also a misconception. This is again absolutely wrong thinking on the part of a few people who think that they don’t need to prepare documents in advance, as they have got all educational and experience documents intact already. Well, the truth is you must prepare all your documents well before actually applying as you need some documents additional to what you have right now. For instance, Canadian government wants Educational Credential Assessment (ECA) report from an approved institution to verify your qualification obtained in your home country. Moreover, to verify your English language proficiency, you need to produce IELTS test with a required level of proficiency, i.e. Minimum CLB 7. Also read-How to calculate your total points for Canada PR? Applicants often think that there must be one process to get Canada PR, and hence, it’s the matter of applying in the same. So selection of the best program based on their profile is out of the question, which is not true at all. The Canadian government has designed multiple pathways to allocate permanent residency to the deserving applicants. Many applicants despite applying for Canadian PR visa for the first time, think that they don’t need any consultant and they can fill the online form etc. to obtain the Canada PR at the end. However, a genuine and registered Canadian visa Consultancy plays a crucial role in helping the applicants in various aspects of immigration and visa process, i.e. choosing right immigration program to apply, documentation assistance, filing visa application accurately, following up the application with visa office, etc. In case, you are planning to apply for permanent residency in Canada, you may get in touch with Visas Avenue Immigration- a leading and registered Canadian Immigration Consultancy firm in India. The VA team has got the outstanding record for obtaining Canada PR visa approvals for its clients.